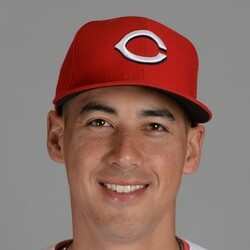 Robert Stephenson allowed four runs on nine hits with three walks and four strikeouts over five innings against the Brewers Wednesday. Stephenson's rough season in the bigs continued Wednesday, as he continues to struggle with his command. He was also hit hard in this one when he did find the zone, leading to a rough day. He now has an ERA and WHIP of 7.59 and 2.44 over his three starts this season.